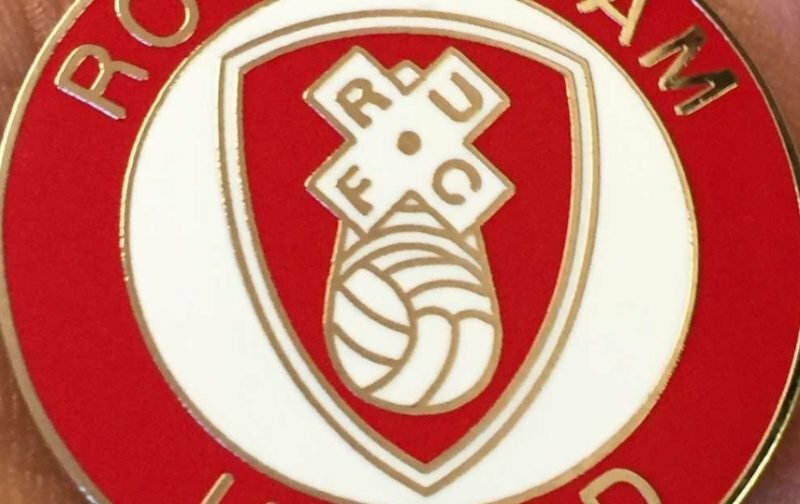 Rotherham United pushed top placed Wigan Athletic all the way at a sunny DW Stadium this afternoon with both teams having to settle for a point in a goalless draw. With the players coming out, lining up, shaking hands, waving to their respective fans they were then ushered from the pitch as the Red Arrows were coming in with the match ball – hence a bit of a late kick-off. The Millers started brightly and should have gone in front in the opening minute after a Jon Taylor cross was controlled by Ryan Williams with him finding Michael Smith whose shot was stopped on the line by Wigan defender Chey Dunkley. Michael Ihiekwe clipped a ball to Taylor but the flag went up for offside before Williams brought off a save from Christian Walton which fell to Richie Towell who was adjudged by referee Chris Sarginson to have fouled a Wigan player. Wigan’s first chance came on fifteen minutes from Will Grigg whose first shot was pushed away by Millers’ ‘keeper Marek Rodak with Grigg putting the rebound wide followed by a Max Power free-kick which went well over the crossbar. Williams had a good chance which brought a great save from Walton before the first yellow of the game was shown to Nathan Byrne for hauling down the Australian winger. The referee evened it up five minutes later when he booked Will Vaulks after he and Nick Powell both appeared to go together, so why the Wigan player wasn’t booked as well nobody knew. The coaching staff from both sides were then given a stern talking too by Mr Sarginson before he blew the whistle on the first half. Wigan started the second half by bringing on Gary Roberts for Nick Powell and a little better with only a superb tackle from Michael Ihiekwe stopping Michael Jacobs getting to the ball in the area. And moments later Marek Rodak was called on to collect a cross from Roberts before Michael Smith got away from his marker, who had been wanting to swap shirts with him from the first minute of the game, and ran onto a ball from Will Vaulks with Chey Dunkley thrawting the tall striker for the second time in the game. The players were able to take on water when Richard Wood went down for a few minutes with a bang to his face but after a quick shirt change he was soon back on the pitch. Gavin Massey had a chance for the hosts but put it over before Ben Purrington did well to get to a ball before Will Grigg. A second sub for Wigan saw James Vaughan come on for Gavin Massey. Jon Taylor, who had done a lot of running this afternoon, got to a cross from Williams to win a corner which came to nothing before Rodak did well to get down to a shot from Roberts. Josh Emmanuel did well to win a corner at the other end which was cleared as far as Richie Towell who found Williams whose shot was deflected for another corner again which came to nothing. The Millers then brought on Anthony Forde for Richie Towell. Vaughan did well for the hosts and got the ball out to Michael Jacobs whose shot goes just over the crossbar. With ten minutes to go the visitors had a good shout for a penalty when the ball was clearly handled by Dan Burn in the area but the only man who mattered, the referee, shook his head. A Matty Palmer corner found the head of Richard Wood who got it down for Williams but the winger put his shot well over into the travelling Rotherham fans. Wigan’s final substitution of the afternoon saw Will Grigg replaced by Ryan Colclough. Smith and Taylor combined well with the latter seeing his shot go just over before a Vaulks long throw found Purrington in the box but his control wasn’t the best. A foul on Colclough by Ihiekwe saw the Millers defender get a yellow card and from the resulting free-kick which eventually found Vaughan going over the crossbar. I thought the Wigan defenders/midfielder had trouble taming Jon Taylor this afternoon with Matty Palmer and Richie Towell also having good games but for me my Man of the Match has to be <b>Michael Ihiekwe</b> who was excellent in defence and also got some great balls out too.